Any of these words sound familiar? Well they are Xhosa for house, play and program – three of the projects Lakeview Seventh-Day Adventist will help fund through the mission trip to South Africa planned for this fall. From July 30 to Aug. 12 Helderberg College Faculty of Theology conducted a two-week evangelism effort. Driven by the Evangelism Field School class, the module aimed at catering for the spiritual, social and environmental challenges that stand in the way of establishing a strong relationship with God. The program was initiated by Dr. M Gwala in 2007 and has equipped theology students to be active in doing evangelism work and also take part in praise teams, provide counseling, prepare meals and distribute religious material. Cape Conference Senior Pastor Nono conducted the effort as there was much success in the previous campaign. The College Chaplain’s Office, in partnership with the College Administration and Faculty of Theology, targeted this effort to raise interest in building a Xhosa-speaking church, addressing some of the needs of the support staff community living on campus. Some of the focus points of the class involve projects and activities such as painting support staff houses, building a jungle gym and coordinating spiritual audio-visual programs for children on campus. 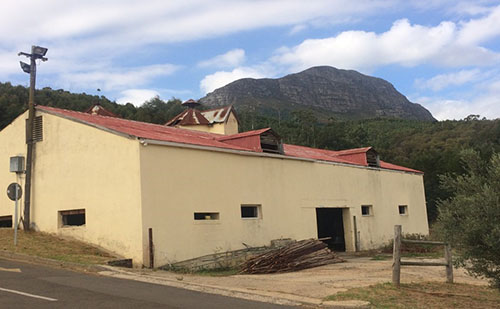 The biggest project from this class is the establishment of a Xhosa-speaking church by making use of an already existing structure at the College. The College Administration and Faculty of Theology are steering this project with strong participation from the Evangelism class in compiling the research and logistics to make this project possible. All that is needed now is funding so that once the structure is done all the interested Xhosa-speaking members will be channelled into this church and form part of a new congregation catering for many who will be able to understand God’s message much more clearly.